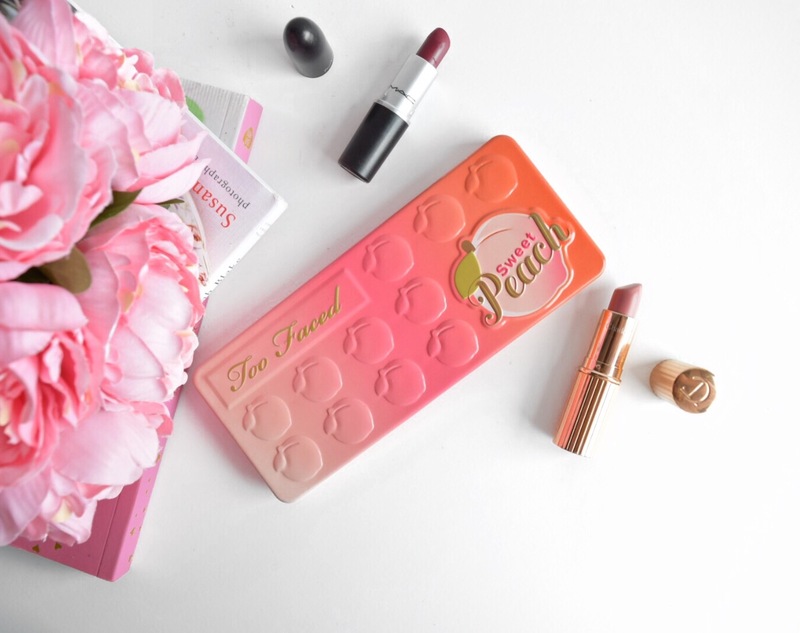 I've been using the Too Faced 'Sweet Peach' palette for just over a month now and I am pretty sure I have used it every single day! I had wanted it for so long and thought I knew the types of shades that were included however, when I received it and had a proper look it really surprised me! First of all, the palette includes 18 shadows. With a mixture of matte shadows and shimmer shadows you are able to create so many looks with it. Before I bought this palette I had seen so many people create amazing 'peachy/pink' style looks with it and those are colours I absolutely love but, I was so pleasantly surprised to see quite a few dark shades too. All of the shadows are pigmented, even 'Georgia' the pale pink shade. I doubt I even need to mention the smell of this palette as everyone and their Nan knows that this smells incredible! The mirror is quite small but that doesn't bother me as I never use mirrors in palettes anyway. 'Peaches N Cream' Great for all over the lid. 'Luscious' The perfect gold, shimmer shade. 'Bellini' A beautiful pink & gold shimmer. 'Talk Derby To Me' A sparkly purple that applies more black than purple. I would honestly recommend this palette to anyone. If you love make up and enjoy creating lots of different eye looks and even if you are not the biggest make up wearer but enjoy neutral shades with a hint of shimmer. There is a reason this palette has a lot of hype around it! *Lashes 'VaVa Voom' Threads Beauty- These lashes look so subtle in the box but they really helped to create the bold eye look I was going for! I love that the packaging is small so you can store these easily and they include glue too. As much as I have loved creating peach and pink looks with this palette I wanted to show you how versatile it can be. 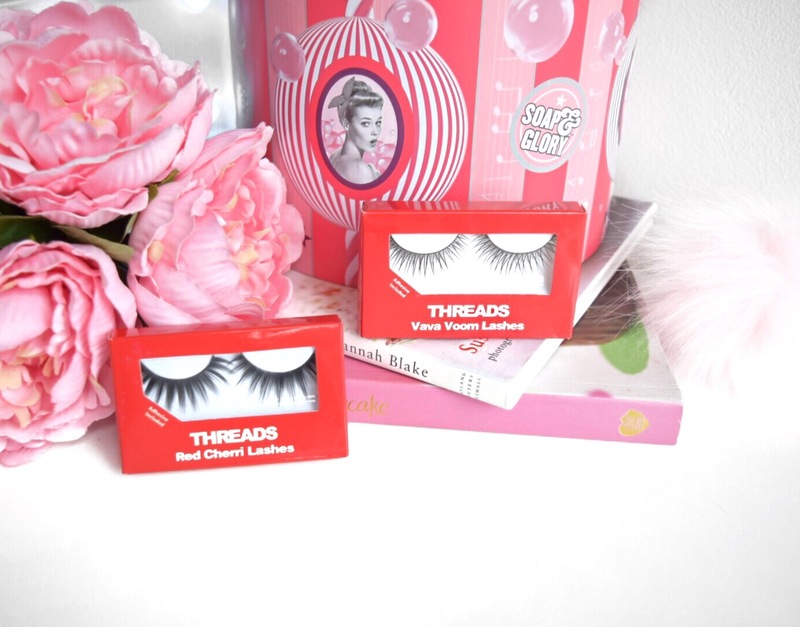 *Lashes from Threads Beauty were kindly sent to me for review. All opinions and 100% honest and truthful as always. 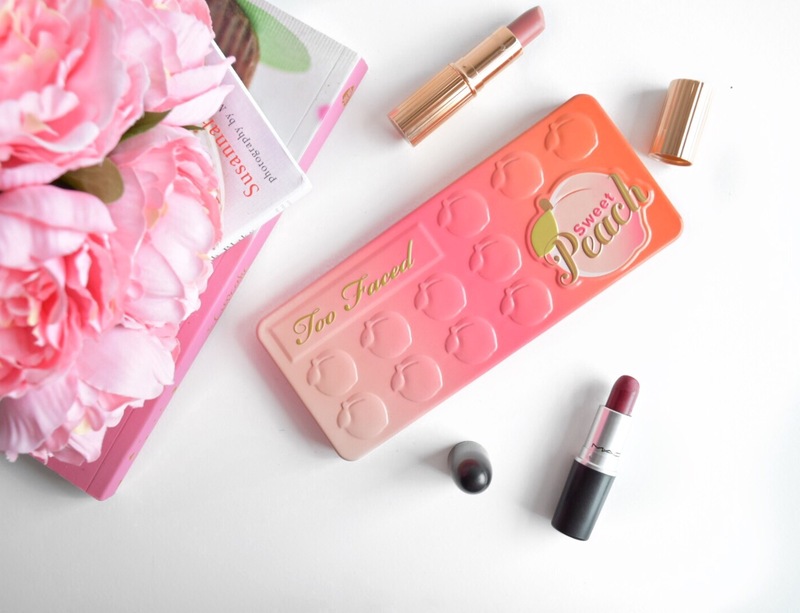 The Too Faced Sweet Peach palette is defo on my wishlist to purchase. I adore my original chocolate bar palette. I purchased this a couple of weeks ago! Can't wait to try it out and have a play with the different shades. I love the second eye look you did!